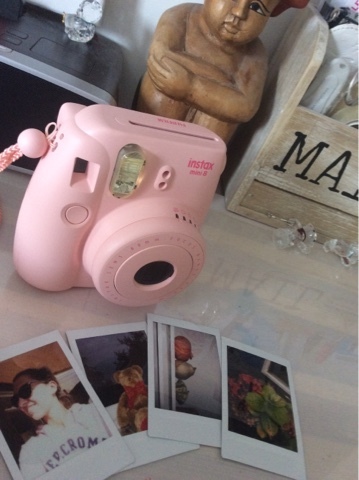 I thought it would be a fun idea to share with you my experience of the Fujifilm Instax mini 8 camera with you. It's a cool device and I woud love to show you everything you can do with it. It's a very popular and fun camera and I hope you enjoy it! Let's get right to it! Last year I bought my camera and was very excited when it finally arrived. It was available in the pink, yellow, blue and white and I choose for the pastel pink one because pink is my favorite color. But the light blue one was very cute too! I bought it online at the Hema in the Netherlands, comparable to a Walmart in the US, with twenty cassettes included. After I opened my package I finally could use my camera. At first I was a little bit afraid of taking a wrong picture because when you make one you can't delete it, it comes right out. But that's actually also very cool about it. With your phone or a normal camera you only see the picture on your screen so this is way better and more fun to make! The camera has 5 different options you can choose from to take the best picture possible. When it's cloudy you can choose the option with the cloud on it and the flash is less bright. When you choose the sunny option the flesh becomes brighter which is very handy. The camera is easy to use. First you have to put in two aa batteries and than you have to click on the right button below and you are ready to go. *It's very fun to make th picture and than see it come out right away. You become kind of addicted to taking pictures because they are so cute!! *Because you only have one shot, you try harder to take a good picture and makes you value them a lot more. *The camera is very light and easy to bring with you everywhere you go to capture your best memories. 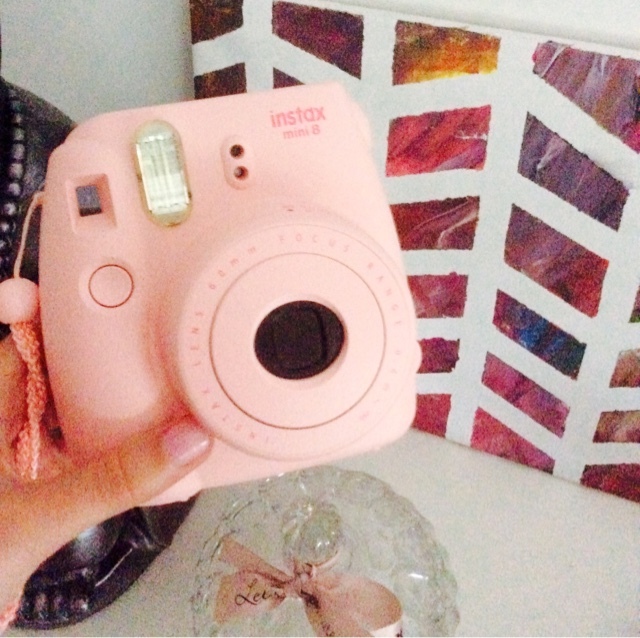 *There are so many cute accessories you can buy for your camera, like bags, filters or stickers. The one I want to buy is the rainbow filter, it's on my wishlist. Overall I would defenetily give the Polaroid a 5 out of 5 stars because it's a very cool camera and the pictures look really cute. It's fun to make pictures of your most memorable moments in life and to have the pictures immediately. Eventough the films are quite expensive, it's still worth it! 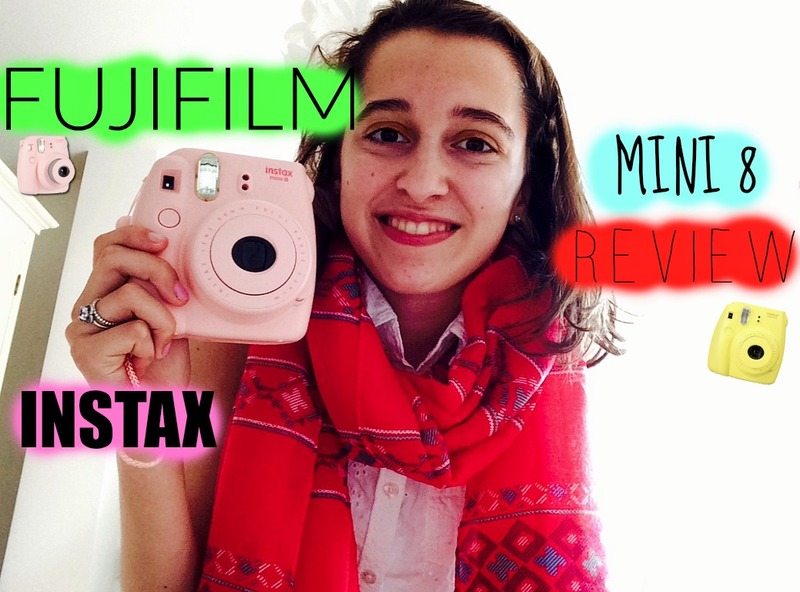 I hope you enjoyed my Fujifilm Instax mini 8 review! If you like my post make sure to subscribe to my blog and I hope you'll stay tuned for my next post! I want one of these cameras SO BAD!! I was just telling my husband about them!